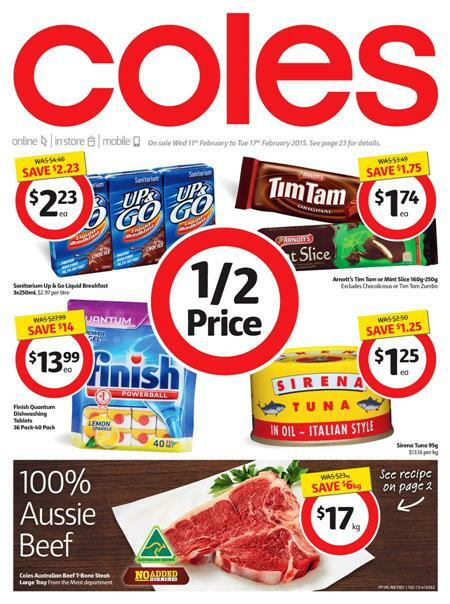 Current deals at Coles online catalogue February 2015 are published on the preview page. Featured coverage of the Coles catalogue this week provided good product range for you. Top quality products of supermarket food products in general are building the main topic of this sale. Fresh meat sale is on the first part of the catalogue. From pg; 3-5 you can check the fresh food and seafood. Bakery products are available on pg; 6&7. Great snacks, popular beverage for new prices. This new specials are of mixed products. Every reduced prices are also available. Product of Australia varieties on pg; 14 are every day sale. Coles online catalogue offers breakfast products like pancake mix, Nutella hazelnut and so on. Kraft spread varieties are available on pg; 18. See new price for Kraft products. Asian meals have been contained by the Coles Catalogue. 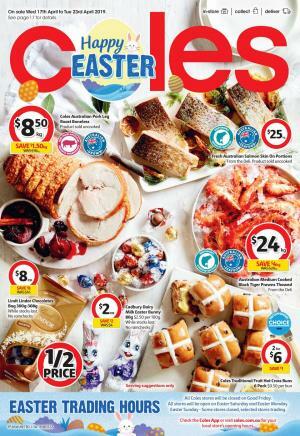 Coles special weekly catalogue online can be your guide for different tastes as well. See new canned food varieties of the store with the new catalogue. * Noodles, mix and match. Please visit pg; 24. Great chocolate offers of the Coles on pg; 26&27 is another sale of the supermarket food range. Coles products catalogue online reviewed products. These might be cool tastes you need in Valentine's Day. Keep in mind, all these above stated items are placed on discount. This is best chance to grab this opportunity with both hands on the eve of January. Enjoy these exciting deals offered by Cole’s and party with friends and family. Cole’s is a trusted name and surely it will provide its customer with quality and tasty food items. You can buy the products from online store as well. Moreover if buying online, you can get fair bit of discount, buy today and get all the products on January under one roof.